It is the intent of Heroes Baseball to play each tournament to its final conclusion. We may modify the tournament in order to reach a conclusions. Modification may include, but not limited to, reducing the total number of games, an alternate seeding method if pool play did not finish, reduce time limits, playing a partial bracket and awarding final placing from the highest seeds remaining, etc. Before any tournament is officially cancelled every opportunity will be made to reschedule or resume play at the first opportunity, as dictated by management, local government, and local league play and/or sanctioning body. We will post all tournament updates on our website, including any cancellation or modifications. In the event a tournament is rescheduled and your team can not participate, please notify our staff as soon as possible to request the appropriate refund. Any team withdrawing from a tournament will not be eligible for any rewards such a tournament berths, trophies, etc. No refund will be issued for any team that withdraws from a tournament without a 14 DAY notice from the start date of the tournament, unless the division did not make. No refund will be issued for any team WE have to withdraw due to MISCLASSIFICATION. It is the sole responsibility of the coach and or manger to notify Heroes Baseball of any classification change. We understand from time-to-time, USSSA may reclassify a team after the drop date; however, it is the coach’s responsibility to notify Heroes Baseball of the reclassification. If your teams is reclassified and you notify us prior to the event, we will work with you to refund or transfer your registration fee(s). However, if we are NOT notified by the team and find out through other means, not refund will be issued. 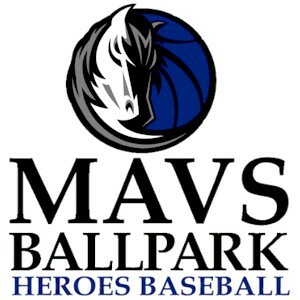 Because teams frequently simply transfer their fees to other events, Heroes Baseball DOES NOT automatically refund team fees. We found this only creates more confusion; therefore, we asked that teams “REQUEST a REFUND” through our website (see instruction below). Refunds are processed as soon as reasonably possible. Partial refunds may take up to 2 weeks to process if the fees were paid by team check. Those transaction must be deposited and cleared before any refund will be issued. Teams paying through USSSA may also expect a delay due to processing time. Heroes Baseball does not have direct control over their processes.